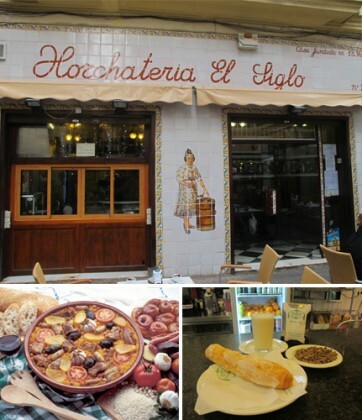 Valencia, the gastronomic capital of Spain. There are more than 8,000 bars and restaurants in Valencia, so it should come as no surprise that the city prides itself on being the gastronomic capital of Spain! No surprise, as well, that the Mercado Central located in the historic heart of the city, with over 900 stalls, claims the title of largest covered market in Europe! Quite literally, everything can be found here. Meats, of course. But also fish and seafood in a vast wing that is entirely devoted to seafood. A real cave of wonders with something to suit everyone’s taste…Valencia’s iconic dish is paella, which the city claims to have invented. But true “made in Valencia” paella will look nothing like the one you have encountered elsewhere. The Valencia version is layered with rabbit and chicken, broad beans and mange-tout, and even little snails. It’s a delightful dish featuring very refined flavors that glorifies the vehicle that is the rice, which is grown in vast quantities in the region. Rice is the king ingredient in Valencia that is also used in arroz al horno, a very popular oven-cooked rice dish. Something else that absolutely must be sampled during your stay is horchata, “the” official drink of the city. Within its milky clouds, this drink made from nutsedge juice (an herbaceous plant of the family of papyrus) contains miraculous health benefits related to the cardiovascular system, similar to those of olive oil. Nutsedge is also good for reducing cholesterol and is a rich source of minerals. But the main reason horchata is consumed in such vast quantities in Valencia, especially in summer, is because it is wonderfully refreshing. Tradition requires that one orders a farton at the same time, a kind of small donut with a sweet glaze, to dip in a glass of horchata like the locals!